A Maine state judge said Thursday that Gov. Paul LePage's administration has a "duty to enforce" a voter-passed law to expand Medicaid to low-income adults. Kennebec County Superior Court Justice Michaela Murphy's comment came during oral arguments in a lawsuit brought by advocacy groups to force the LePage administration to implement the Medicaid expansion overwhelmingly passed by Maine voters last November. The judge did not indicate when she would issue a ruling, though it's expected she will rule within a week or so. The losing side is almost certain to appeal. 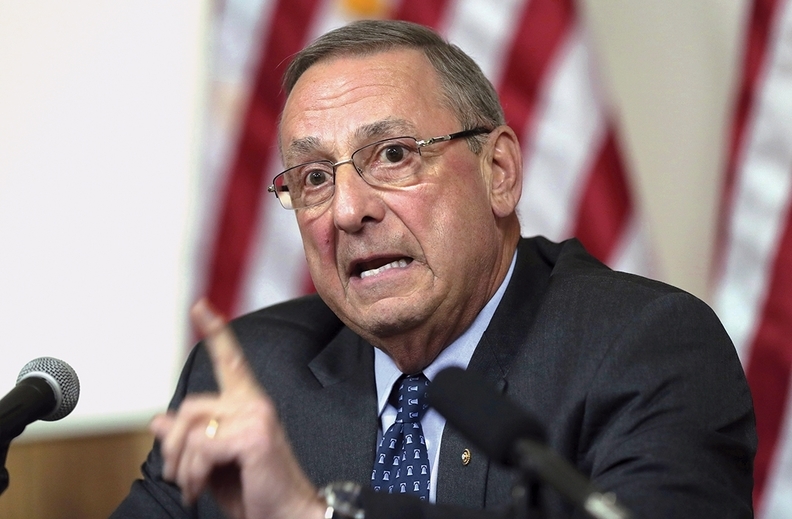 LePage, a Republican, has balked at implementing the expansion under the Affordable Care Act. The Maine ballot initiative was strongly backed by the Maine Hospital Association and the Maine Medical Association, which say it will improve access to healthcare and reduce uncompensated care. Under the voter-passed law, Medicaid expansion enrollment should start on July 2. An estimated 70,000 Mainers could receive coverage under the expansion. Maine would become the 32nd state plus the District of Columbia to extend Medicaid coverage for all adults up to 138% of the federal poverty level. It would be a boost to expansion supporters, even as the Trump administration and GOP state leaders push to impose new Medicaid work requirements on beneficiaries, which are projected to cause coverage losses. LePage, who previously vetoed five bipartisan expansion bills, has refused to send the CMS a state plan amendment to carry out the expansion, which the ballot initiative mandated him to do by April 3. His administration argued in court that it can't act until the state Legislature passes an appropriation to fund the expansion. The not-for-profit advocacy group Maine Equal Justice Partners brought the suit on behalf of consumer advocacy groups and the state association for community health centers. They are asking the court to require the LePage administration to comply with the law and submit the state plan amendment. At the hearing Thursday, the judge told the LePage administration's attorney, Patrick Strawbridge, that "the law is in effect. It's not a suggestion… The executive branch has a duty to enforce the law." Strawbridge, who was representing the state Department of Health and Human Services, responded by arguing that a law cannot be executed without the necessary funding, which is the legislature's sole responsibility. "The referendum could have included a funding mechanism but it didn't," he said in an interview after the hearing. "It was thus left to the legislature, which has not enacted any appropriation that all sides understood was necessary." But James Kilbreth, the attorney for the groups pushing for expansion, said in an interview that he doesn't think Justice Murphy will buy that argument. "She was focused on what the statute says. It doesn't cost money to submit a state plan amendment, and it's not the court's role to interpret the statute, which is unambiguous." Robyn Merrill, executive director of Maine Equal Justice Partners, said the state has more than enough money in its Medicaid budget account to cover the cost of the expansion until at least next May. Plus, it has a budget surplus of nearly $140 million. The state Legislative Office of Fiscal and Policy Analysis projected the cost of the expansion for the first year at $39 million. LePage, who is in his final year in office, has insisted it will cost $60 million, and has demanded that lawmakers find the money to pay for expansion without increasing state taxes, diverting money from the Budget Stabilization Fund or using any other "one-time funding mechanisms or budget gimmicks." The state Legislature adjourned last month without making an appropriation, after Republicans and Democrats hit an impasse on a broader spending package. Lawmakers are expected to go back into session later this year to resolve these issues. "The court doesn't even need to get into the funding question," Merrill said. "That's for the Legislature to sort out. The law is the law and (the administration) has to implement it." There are 18 states, including Texas and Florida, where opposition from Republican governors or legislators has blocked Medicaid expansion. They argue that expansion is not affordable for their states, even though the ACA requires the federal government to pick up no less than 90% of the cost. It's estimated that 4.5 million people would gain coverage if all those states approved expansions. But pressure is mounting in some of those states to pass Medicaid expansion. Virginia's Republican-controlled legislature is on the verge of passing an expansion bill. In addition, supporters in Idaho, Nebraska, and Utah hope to have initiatives on the ballot in November to expand Medicaid in their states. Polls in many of the hold-out states show strong public support for expansion.